There’s more to modeling than just looking good. You must be personable, ambitious, and business savvy, of course, but you must also have a particular set of skills – skills that not even the top supermodels were born with. Are Modeling Schools Necessary to Become a Model? No. You don’t need to go to modeling school to become a model. While some models do find amazing opportunities, 99.9% of models get their careers started in other ways, like simply submitting a few snapshots to qualified agents and scouts. But that doesn’t mean modeling schools have no value whatsoever! If you go to a modeling school with the intention of becoming the next Coco Rocha, then yes, you might be setting yourself up for disappointment. But if you sign up because you want to have fun and meet new people who have the same interests, you’re in it for the right reasons. You’ll leave a more confident and inspired person, and the skills you learn will stick with you through all of your life’s challenges, whether you’re applying for a job or tackling one of the many obstacles that will come your way. 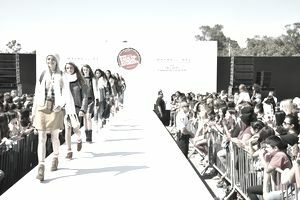 If you do happen to become a model, then you’ll be all the more prepared to get your career started on the right foot. The types of modeling - Runway, fashion, commercial, plus size, etc. How Do I Know if a Modeling School is Good or Bad? Do your homework and find out as much as possible about the modeling school you’re interested in, including how long they’ve been in business, who they’re owned by, what they teach, and who the instructors are. You can learn a lot by conducting a simple Google search or checking with the Better Business Bureau. It also wouldn’t hurt to take it a step further and talk to former students if possible. If the modeling school is a “good” one, they will have been around for a long time, will have a good reputation within the community, and will be owned and operated by real industry professionals (former models, agents, fashion photographers, etc.). They’ll be open and honest about every aspect of their business and won’t hesitate to give you testimonials, let you tour the school or let you check out their curriculum. Everything should be included in your tuition, with the exception of photo prints (it’s perfectly normal for students to pay extra to purchase prints from the photographer). Go with your gut instinct – if something doesn’t sit well with you, no matter how insignificant it seems, find another school.